We're making a movie about homeschooling & need your help! The audience most likely to be offended by Class Dismissed is also an audience most likely to benefit from seeing the film. Most teachers will agree with the majority of the film, but the one pill that is hard for teachers to swallow is the History of School section. I have yet to meet a teacher that knew this history before seeing the movie. Understanding the industrial-age history helps teacher & administrators better break the mold. If teachers view the film as a snapshot of what learning looks like with no restrictions, it better helps them understand important research-backed concepts like customizing education to the child and the power of self-directed learning. We’ve had many teachers comment on how the movie inspired to change the way they run their classrooms. We also discovered a large number of teachers who homeschool their children (including some in the film). – John Taylor Gatto, Former New York State Teacher of the Year and Author. 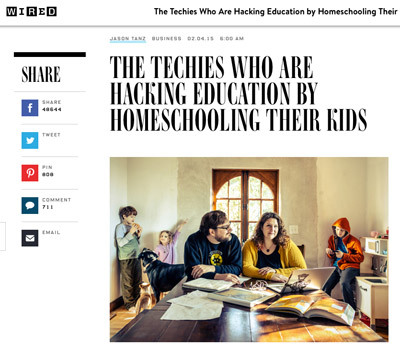 Wired magazine reached out to us when they noticed a growing trend: more and more of their readers were choosing to homeschool their kids. Developers, Designers, IT professionals, and most people in the tech or startup industries didn’t learn their skills during their 13 years of K-12 schooling, and very few learned those skills in college either. Elon Musk recently created a “school” for his kids & employees of Space-X that is based on unschooling principles and resembles the homeschool hybrid concepts shown in the film. 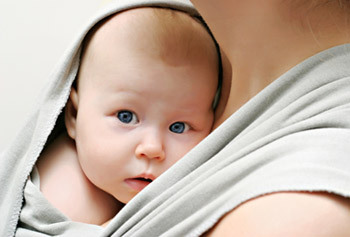 Professionals with background in child-development, or parents who subscribe to Attachment Parenting often find themselves transitioning into homeschooling because it is a decision made in the best interest of the child. Schools are specifically designed to be authoritarian. There’s a reason why school policy is to separate twins into different classrooms. Parents who belong to their school’s Parent Teacher Association, or volunteer in the classroom already have the determination and desire to provide the best academic situation for their child. The part they don’t realize is that homeschooling is incredibly efficient and doesn’t require teaching credentials. Anything that is accomplished in a classroom setting over the course of a full day could be accomplished at home in under two hours. And the more advanced topics that make most parents feel inadequate (like Calculus) may not require their help – many older homeschool kids teach themselves or take an outside class. You may also discover that things like Calculus are only necessary for very specific fields. I met one kid who learned K-12 math in 3 months after he decided he wanted to be an EMT. 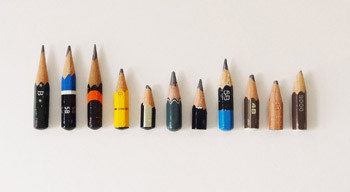 Much like those in the Tech field, Creatives rarely learned their skills in school. In fact, the school system was specifically designed to combat creativity and individual thinking. To make matters worse, the recent focus on testing has caused many schools to completely cut their art programs. Judging from the outside classes or programs homeschoolers spend their money on, it is safe to assume that the average homeschool family puts much greater value on creative outlets like music, acting, art, and design. As a child I was advised to stay away from careers in movies & gaming because I would go broke. Those industries are now worth hundreds of billions of dollars a year. In all industries, employers are desperately seeking creatives and people with out-of-the-box thinking. A surprising number of education reformers eventually land on homeschooling and unschooling. A prime example is one of unschooling’s early leaders, John Holt. It is often said that innovations rarely come from within a industry – they often come from outside of it. This is mostly because those outside an industry aren’t constrained by the assumed limitations of the industry. Homeschoolers aren’t bound by the policies and logistical issues schools are and have the freedom to find what actually works. Teachers don’t have the luxury of teaching one-on-one to a classroom of 30+ kids. They must shoot for the average kid, which doesn’t serve the kids at the top or bottom of a bell curve. They also can’t teach in multiple styles at once. Some kids are more visual, some are auditory, some prefer kinesthetic learning, plus let’s not forget logic, social, and interpersonal learners. There are thousands of examples of parents pulling their kids from school and blossoming. Kids who were penned as slow learners or needing medical help for their “ADHD” were simply not having their individual needs met. For those already homeschooling, we quickly recognize the skeptics all around us (especially that dead silence after you mention you homeschool). The skeptics may be your neighbors, friends, co-workers, parents or even your own spouse. Asking them to read a book is often too much to ask, but watching a movie is a small investment on their part. The movie packs so much information into an enjoyable story-based 90 minute documentary. We’ve had hundreds of skeptics tell us the movie completely changed their thoughts about homeschooling. I can’t tell you how nice it has been to hand a copy of the film to someone rather then spending a couple hours trying to explain how homeschooling works. 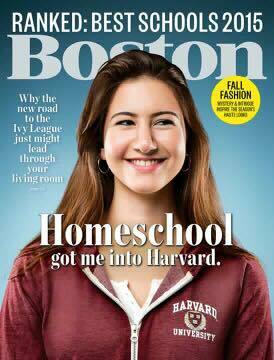 Many of the top universities have discovered how amazing it is to admit homeschoolers who have a real love of learning. More and more of them are specifically seeking homeschoolers. Besides showing the film on several college campuses, we’ve also had several professors ask to screen the film in their classroom. With movements born out of homeschooling, such as Uncollege, more and more Universities are researching what is happening with the recent homeschool movement, looking for answers on how to change and adapt before the Higher Education Bubble bursts. Many people who place high value on outdoor actives from survival skills to camping, hiking, or traveling the world find homeschooling to be a great match. There’s a whole slew of “road schoolers” and “worldschoolers” who live a nomadic lifestyle and learn on location. 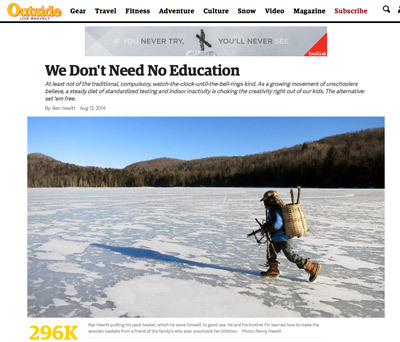 Last year Outside Magazine ran a piece about homeschooling. You’d think kids already homeschooling wouldn’t really need to see the movie. The thing that surprised me the most about our theater screenings was that kids of all ages were captivated by it. I wasn’t sure if it was the kids in the film or the fact that a movie was made about their lives, but the kids in our audience were a pleasant surprise and many of our favorite questions came from them. We heard many stories from parents on how their kids thanked them for making the homeschool choice or were inspired so much that they wanted to start a new project immediately when they got home… at 10pm. Some veteran homeschoolers might say “you’re preaching to the choir” or “I don’t need to see it because I’m living it”, but you’d be surprised how even the most recognized homeschool experts told us they learned a few things from the film. The film will feel familiar to many veteran homeschoolers and becomes a fun way to remember and celebrate their own journeys. There’s something in this film for everyone. Some long-time homeschoolers even change their homeschooling methods after seeing the film. We also rely on the confident veteran homeschoolers to share this film as a resource for those asking them for advice. If you fall into this category, we believe this is one of the greatest tools for disseminating the important information in a easily digested way. In 90 minutes a family can gain 5 years worth of homeschooling experience. WHO ELSE SHOULD SEE THIS FILM? I’m always fascinated to learn what other groups would benefit from seeing this film and what correlates with homeschooling. I’ve seen a strong ties to the maker movement and know that many famous actors, musicians, and tech leaders were homeschooled. What groups do you think would benefit from seeing the film? Mention them in the comments below. This entry was posted in news by dustin. Bookmark the permalink. Congress. Yes, our U.S. congress.